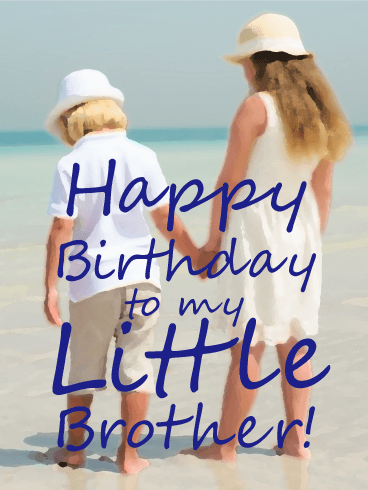 Little brothers-the bane of our existence. They're so gosh darn infuriating and so ridiculously loveable. 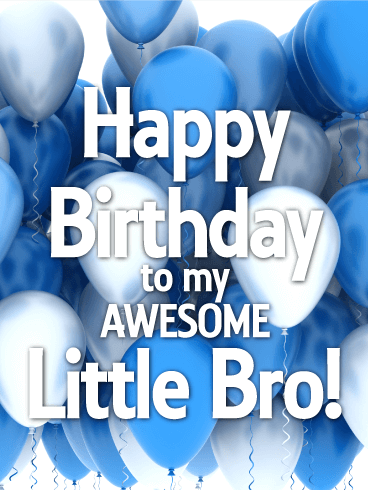 No matter how big your brother gets, he's still your little brother and can use some friendly teasing to make sure he knows his place! 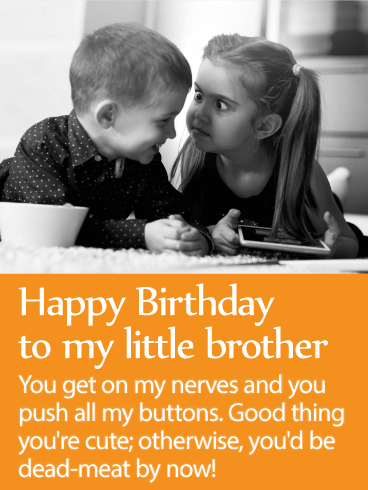 Send your brother this funny birthday card that really nails the truth about younger siblings! 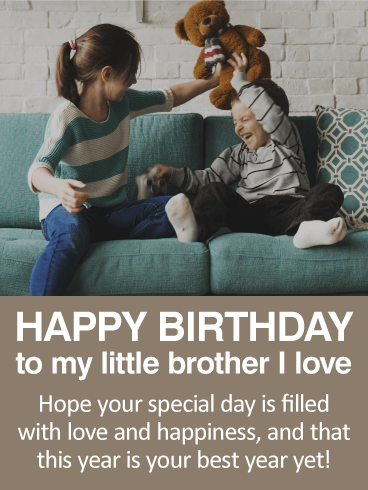 Give your brother a good laugh on his birthday and send this fun birthday card.